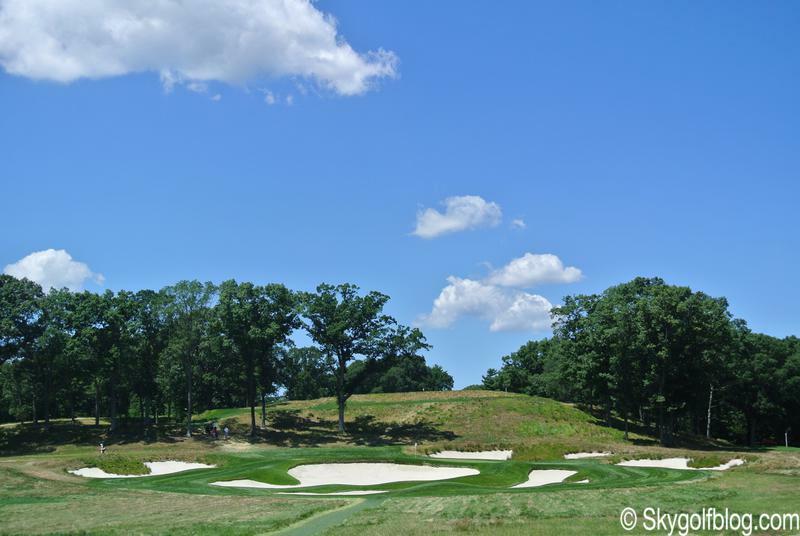 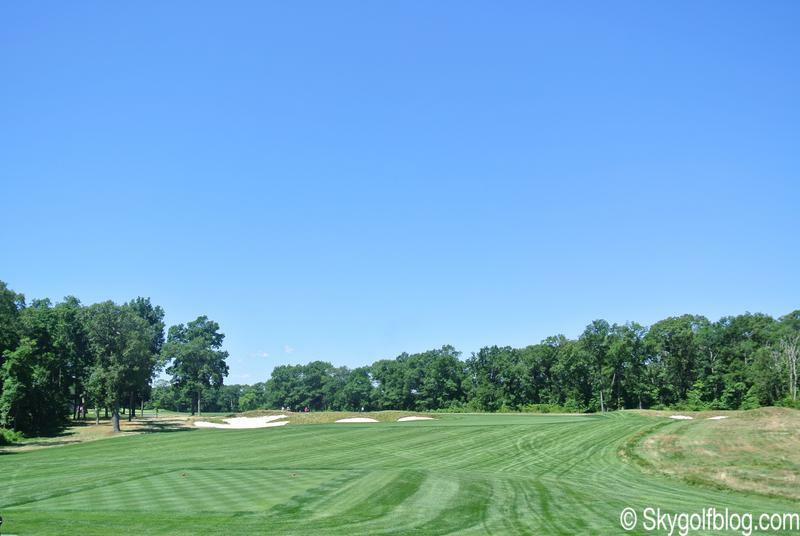 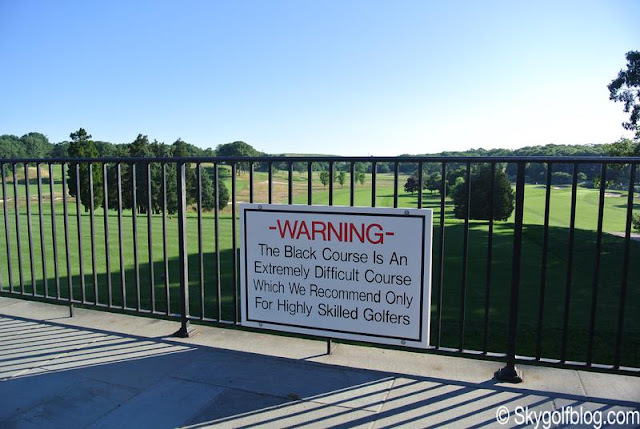 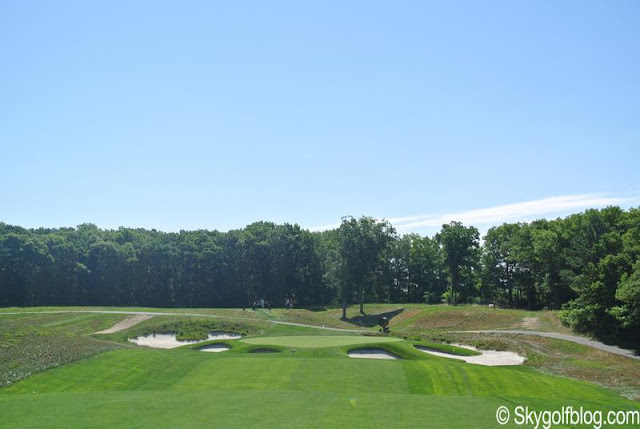 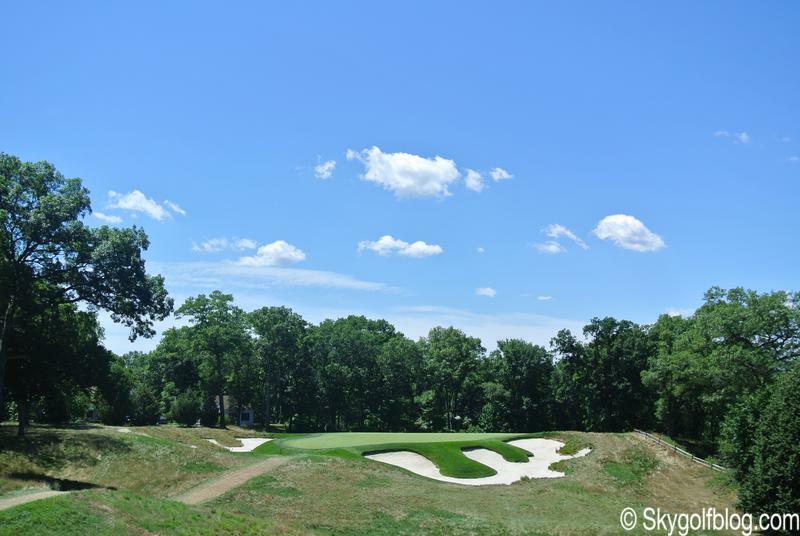 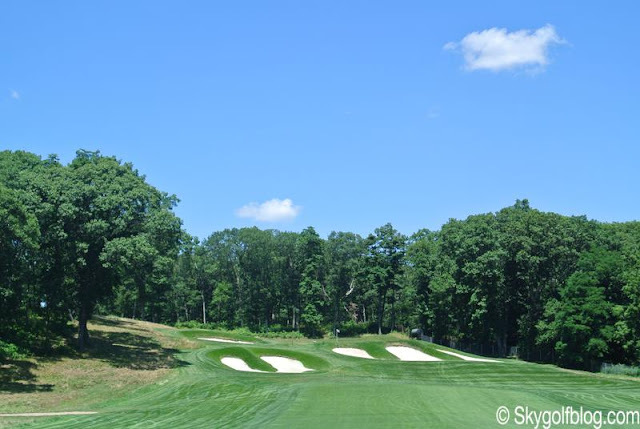 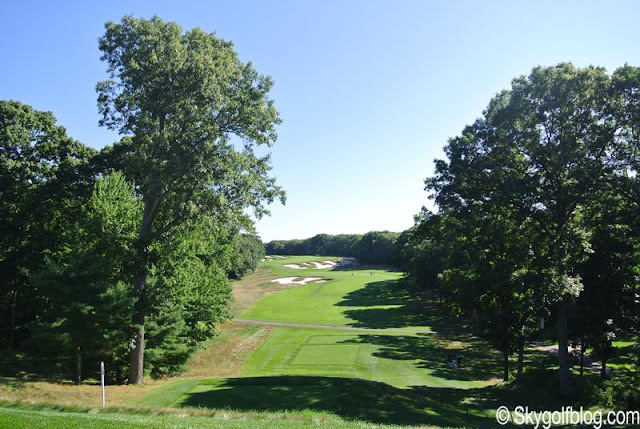 The Black Course at Bethpage State Park is worldwide known to be one of the toughest and challenging golf course in the United States, a real monster. 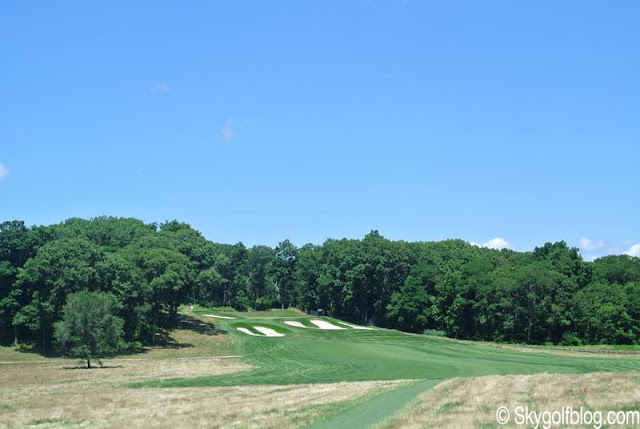 7468 yards from the blue tees, a par 71 rated 78.1/152 for the low handicap golfers that plays as a par 70 with the same yardage for the best players in the World. The famous sign "WARNING - The Black Course Is An Extremely Difficult Course Which We Recommend Only For Highly Skilled Golfers" advise golfers on the first tee, a sign able to retain any confidence a player may still have before challenging that beast for the first time. No one knows what to expect for the next 4 1/2 hours. 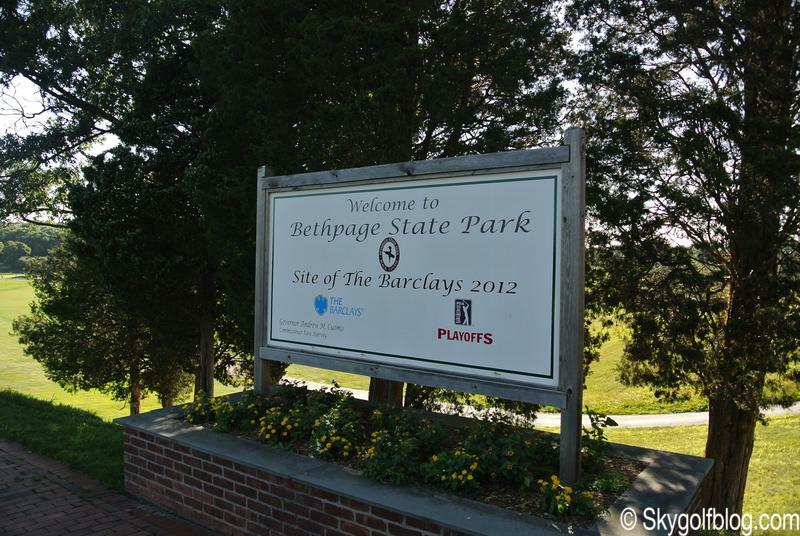 The Black Course is one of the five layouts of the state of New York owned Bethpage State Park facility, and the busiest. 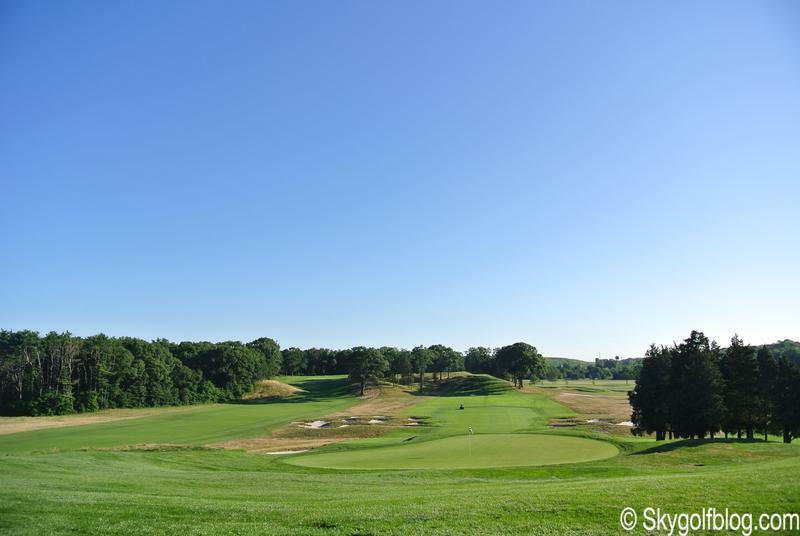 Getting a tee time on the Black Course is not an easy task. 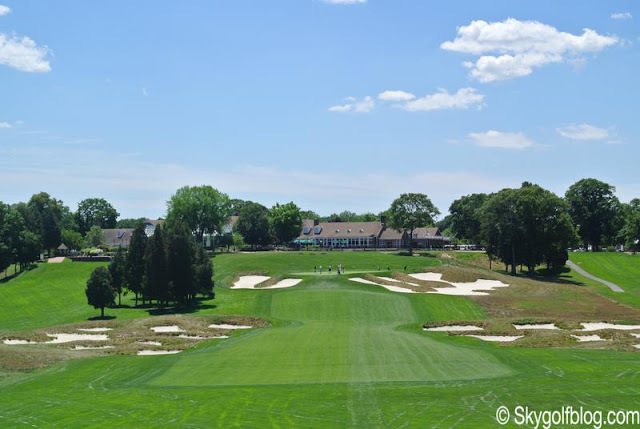 Opened in 1936, and designed by the Philadelphia born golf architect A.W. Tillinghast, who also designed the Blue and Red Courses at Bethpage and other prestigious courses as Winged Foot, Baltusrol or Medinah No. 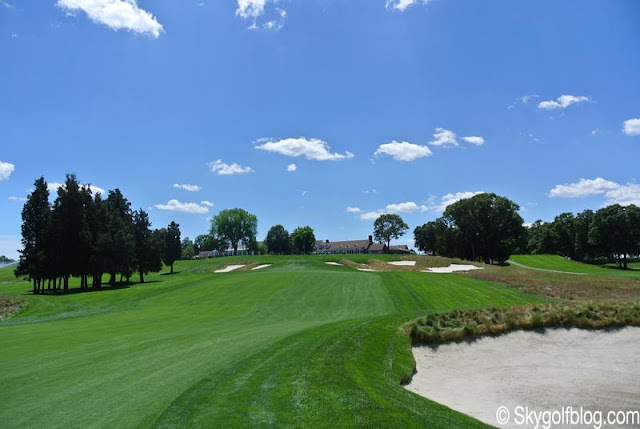 3 that hosted multiple professional golf major championships, the Black Course is today recognized as one of the Top 10 public courses in the USA and probably one of the best courses in the world. But what is so special and unique with the Black Course, and why is considered so difficult? Three 18 holes layout named named after a color according to the skill level it best suited. 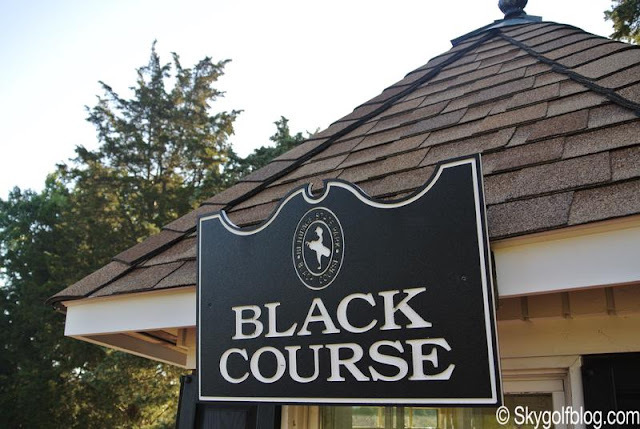 The Black Course is the ultimate test. 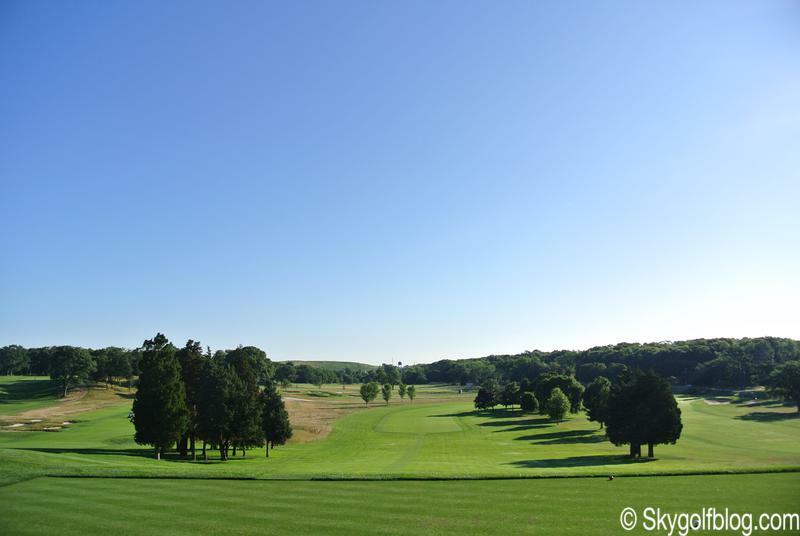 The Black Course is extremely long, with narrow fairways and bunkers and massive, huge sand hazards perfectly placed on the landing areas and around the greens. The layout snakes across a combination of open areas and forested hill, featuring dramatic elevation changes but also relatively flat greens. 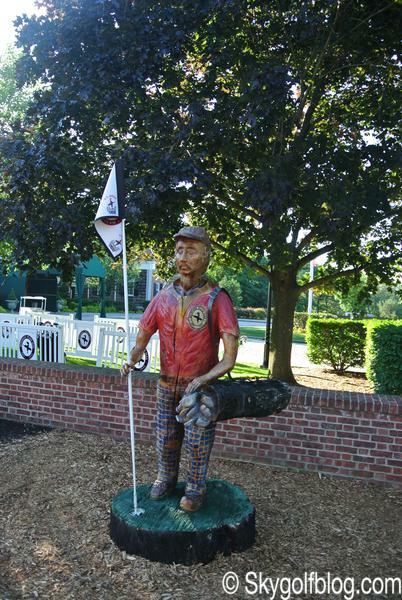 Every holes has its unique character and at the same time is perfectly connected to the next one. 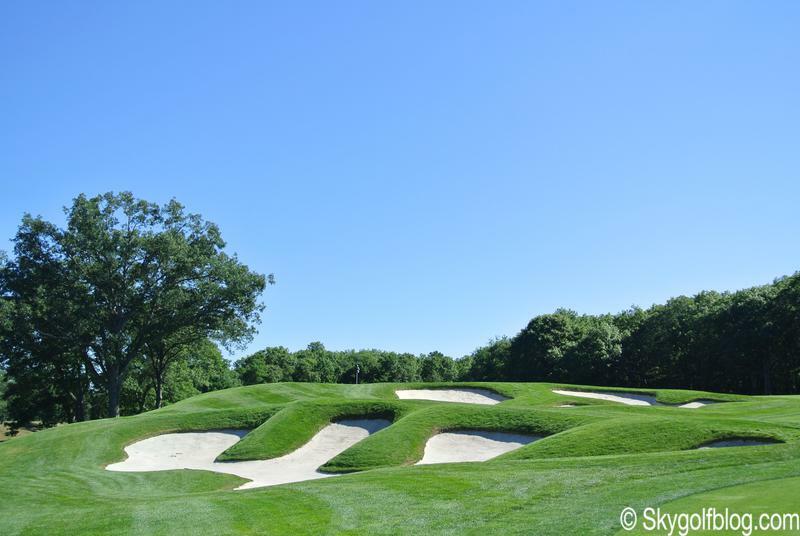 A true masterpiece in golf architecture to be played with respect and strategy. The first publicly owned and operated course to host the U.S. Open (2002) that since then has been the venue of another U.S. Open in 2009, hosted The Barclays, the event of the FedEx Cup Playoffs, in 2012, and is scheduled to host again in 2016, 2021, and 2027. The PGA Championship will be hosted on the Black Course in 2019 while five years later it will be the venue of the 2024 Ryder Cup. 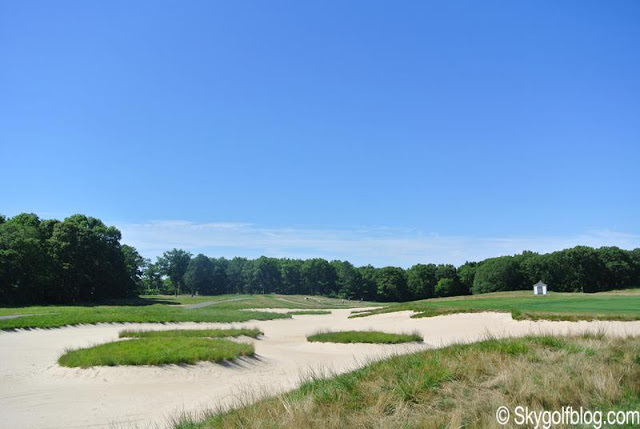 A major restoration of the course was undertaken in preparation for the 2002 U.S. Open. 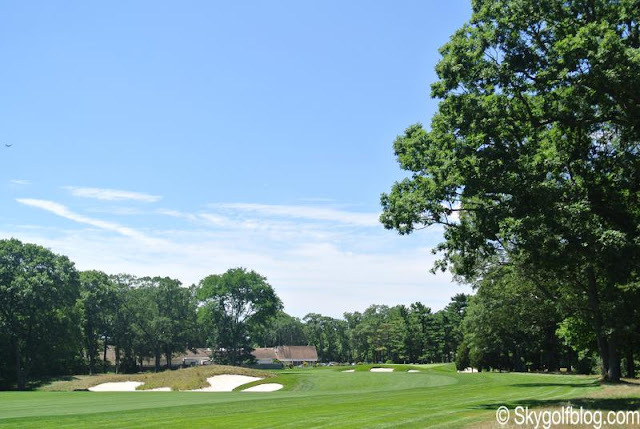 Work included the construction of championship tees, the repositioning and/or restoration of all fairway and greenside sand bunkers, and green surface expansions, or reductions, on select holes and more improvements will be made in preparation for the future events. The front nine are usually considered more forgiving, or better less punishing than the back nine, but still they are able to provide moments of demanding golf. 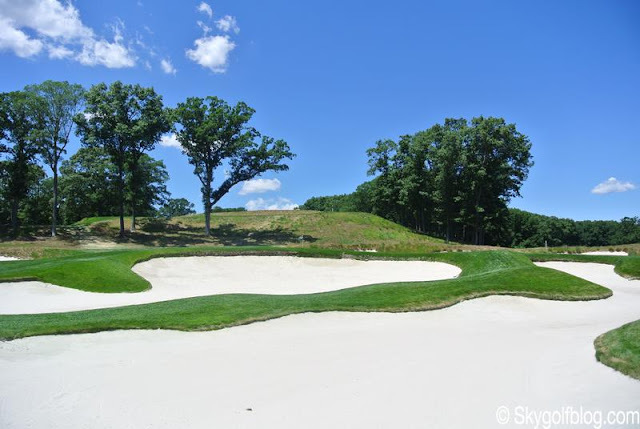 The par 5 4th, for instance, is an uphill world-class three-shotter double dogleg that first bends around a cavernous sand trap before rising across a pair of bunkered ledges. 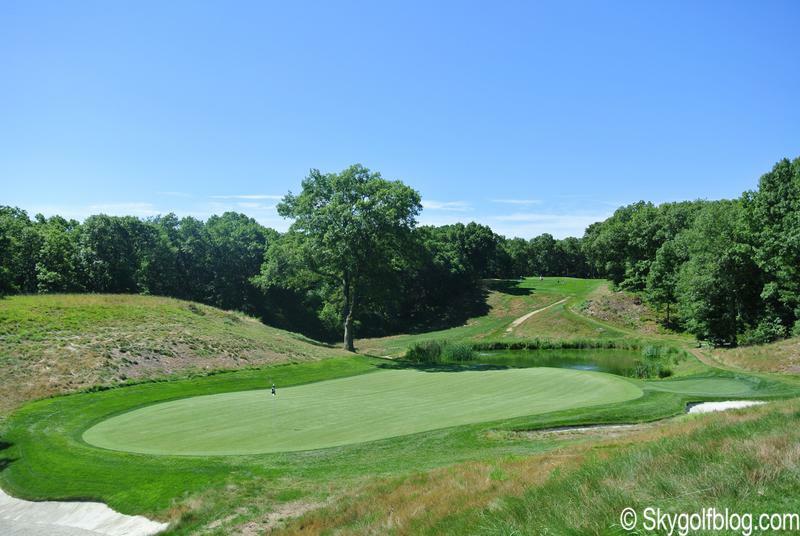 Only 517 yards from the back tees for one of the toughest holes of the course. 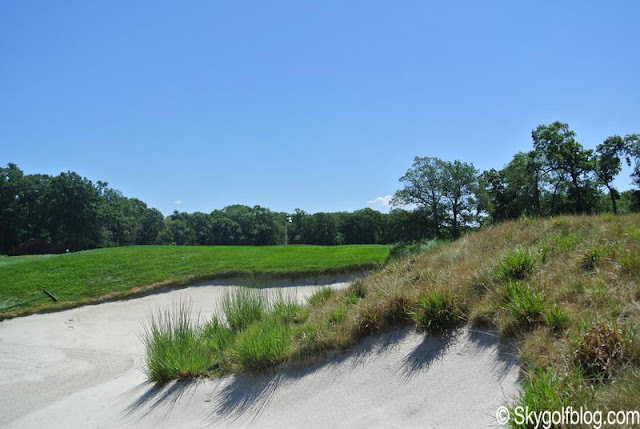 Or the next par 5, the 553 yards 7th, played as a 489 yard par 4 in the 2009 US Open, where an oblique enormous bunker forces the player to hit a perfect straight and long tee shot in order to carry it off the tee. 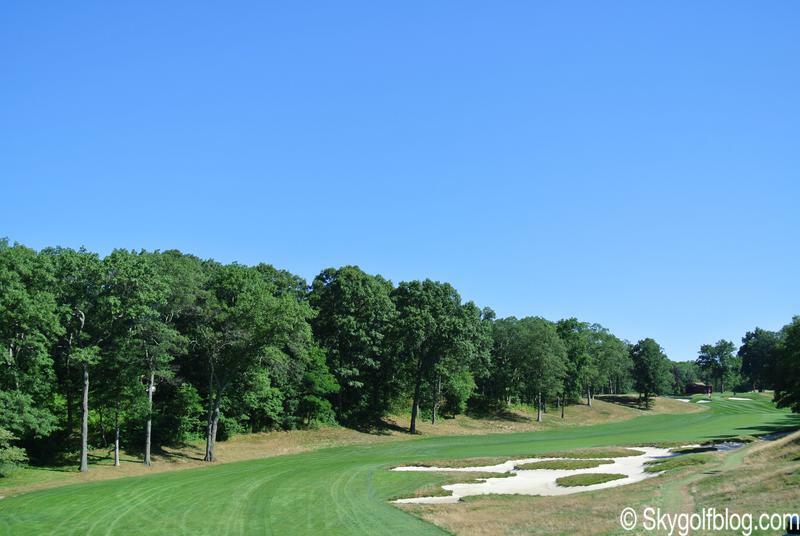 From there, the hole bends gently right to a low-slung green that invites run-in shots one of the few at Bethpage. The 8th is an impressive par 3 that plays downhill with its green pushed into a natural amphitheater. 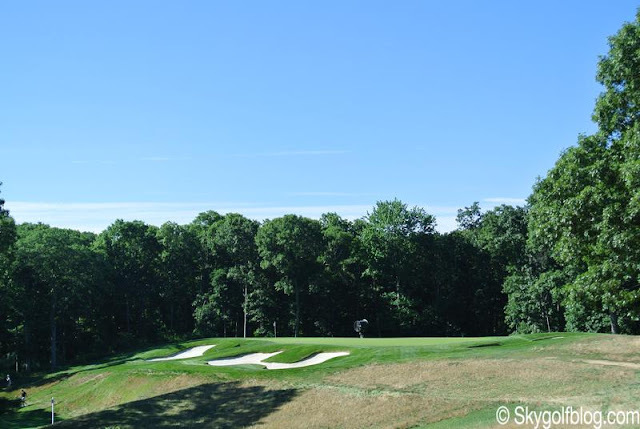 The back nine feature just one par 5, the 608 yards 13th, two par 3s and six par 4s, the longer measuring 502 yards (10th hole) and the shorter measuring "only" 411 yards (18th hole). 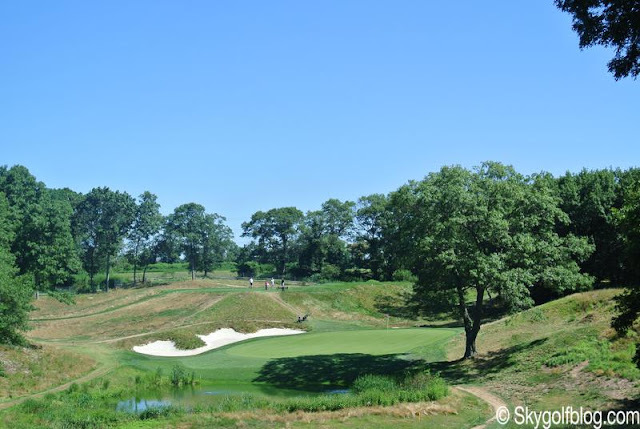 "Golfers' favorite hole" is with no doubt the 478 yards 15th, one of the hardest par fours imaginable, and the toughest hole during the 2002 U.S. Open featuring a narrow turning fairway and an elevated green 50 feet above the fairway that is protected in front by deep bunkers for any shot that doesn't carry. The final hole 18th is probably one of the most photographed holes in world of golf. 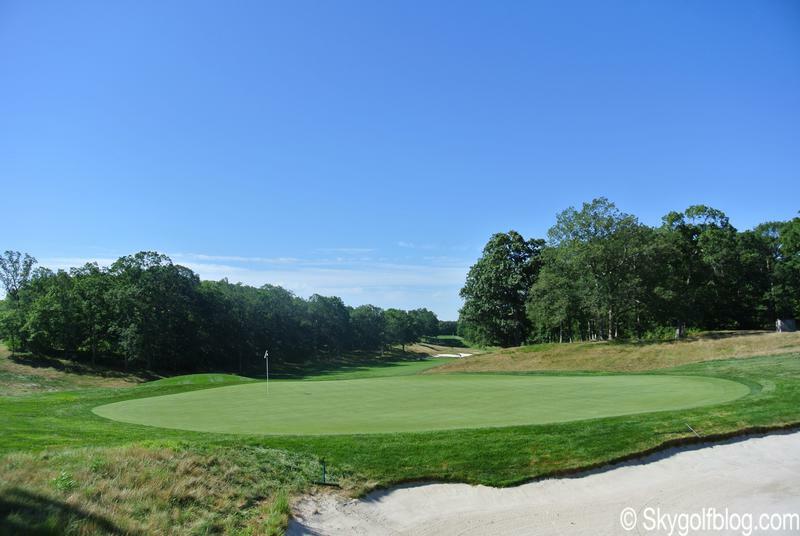 A straight 411 yards par 4 with the fairway that narrows to about 16 yards surrounded by ocean of sands on both sides almost at 300 yards off the tee and an elevated green that slopes back to front with huge and deep bunkers on both sides. The Black Course is walking only and the fees to play, assuming you can get on, are $130 weekdays and $150 on weekends. New York State Residents can play for $65 and $75, respectively.